Fisher & Fisher completed the survey of 750 drainage pits within the township of Portland including invert levels and pipe sizes to accurately define the existing drainage system. Following survey, a Hydraulic model was established in XPSWMM for the existing drainage system. 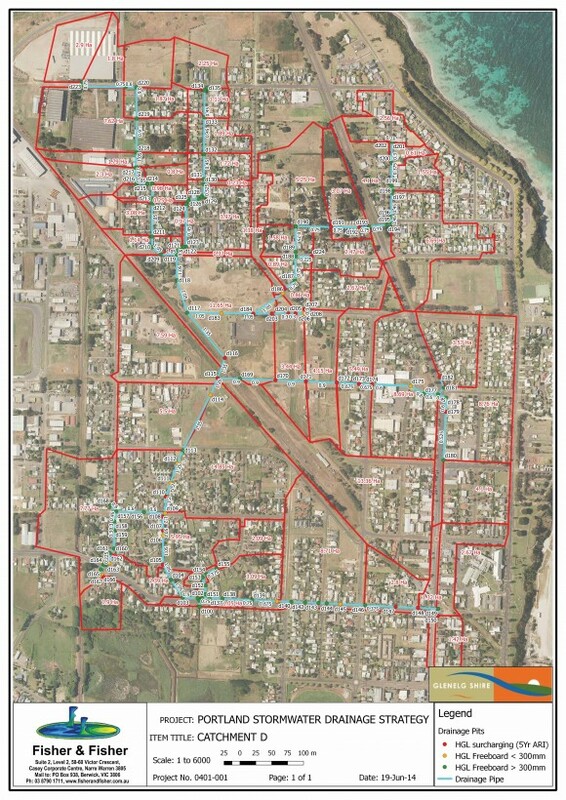 This enabled Glenelg Shire to identify permissible site discharges from future development and to identify levels of service achieved by the existing stormwater system. During this project we also rationalised the number of discharge points to Portland Bay, prepared concept flood mitigation designs, wetland and RB concept designs as well as a prioritised list of costed works so that Glenelg Shire can more accurately budget for the provision of future stormwater infrastructure requirements.